We are a full-service advertising company located on the Central Coast of California. Our mission is to provide marketing solutions and ideas to businesses that not only create consumer actions, but help business owners succeed. We are a consultant to business owners, and we strive to deliver the most-effective print advertising medium to generate business for our clients. We engage local consumers and motivate them to do business with our clients by delivering interesting content and compelling offers through the mail, online and mobile. Valpak’s Blue Envelope of coupons can introduce your business to qualified customers in SLO and other cities on the California Central Coast. Our digital marketing solutions can take your brand’s message even further. Contact us today and let Valpak give your small or medium business more exposure, at affordable prices. Valpak of Central Coast of CA can build out your web presence with a business profile page on valpak.com. As a Google Ads-certified agency, we can also manage your pay-per-click campaigns. Get ROI insights on both your print and digital campaigns. Find out how many calls and clicks you’ve attracted, how many coupon prints you have, and the quality of leads generated by your campaigns. Start getting noticed in Santa Maria, San Luis Obispo, Lompoc, Paso Robles, Atascadero, Arroyo Grande and dozens of other communities with Valpak of Central Coast of California today. For specific dates and coverage, contact your Valpak of Central Coast of CA representative. 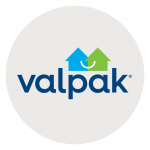 Valpak of Central Coast of California is an independently owned Valpak franchise.